Interesting Persian Gabbeh rug. size is 2′. 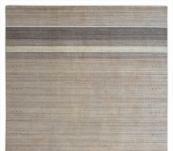 8″ x 4′ . Original with real pricing. Nomadic African Beni Ourain Moroccan area rug in 5′ wide by 8′ long. It is hand knotted by Artisan weavers in India . 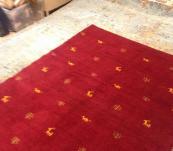 If you looking for same rug in other sizes please contact. Spectacular luribaft gabbeh , hand wovwn in blue/ darker blue. You will love this blue gabbeh. clean cut , hand woven wool. from India with no fringe. Interesting luribaft gabbeh in beige , white with soft wool. 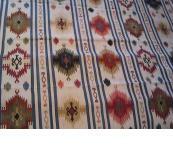 Here is one of a kind south western style flat weave , reversible kilim in 8×10. 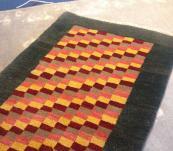 This rug is hand made & one of a kind. all wool. This remarkable Gabbeh rug design used in Persian flag , and reminder of instinct Zagros mountain lions .Is new but for sure is future antique .